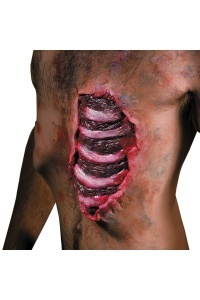 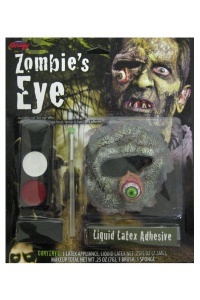 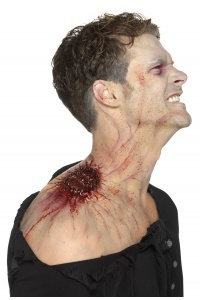 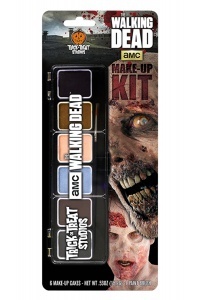 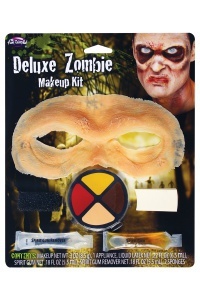 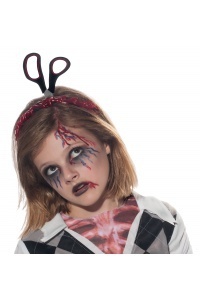 This scary Halloween costume accessory includes a latex zombie mask in your choice of styles. 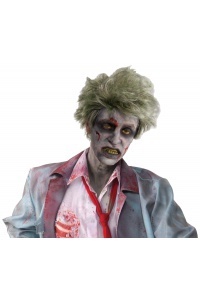 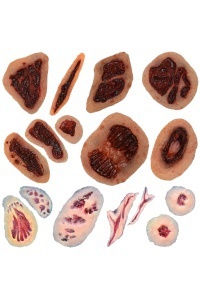 Choose from the Bio Zombie (greenish grey), Red Lips Zombie, Grey Zombie or the Skull Zombie. 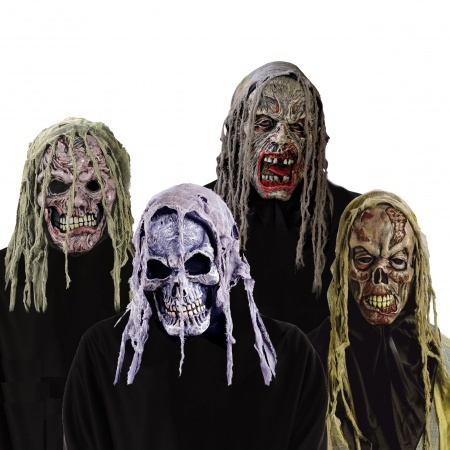 Each of these adult size zombie masks has a tattered shroud and a cloth back for easy wear. 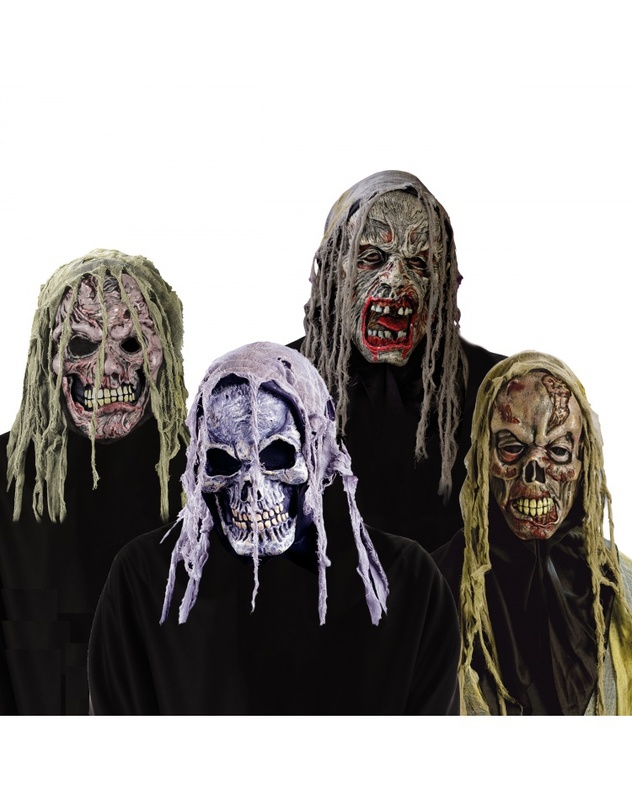 Our scary zombie masks are sized to fit most adult men and older teen guys.